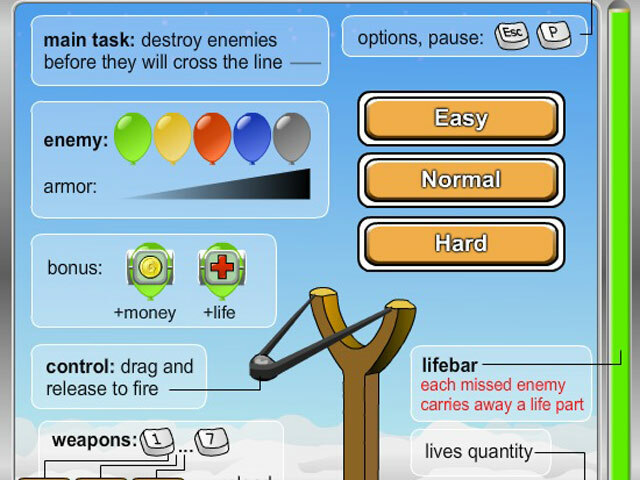 Burst balloons with an upgradable slingshot in this challenging, online Arcade game!Burst balloons with slingshot savagery!Keep the skies clear by blasting back the balloon invasion in Airborne! 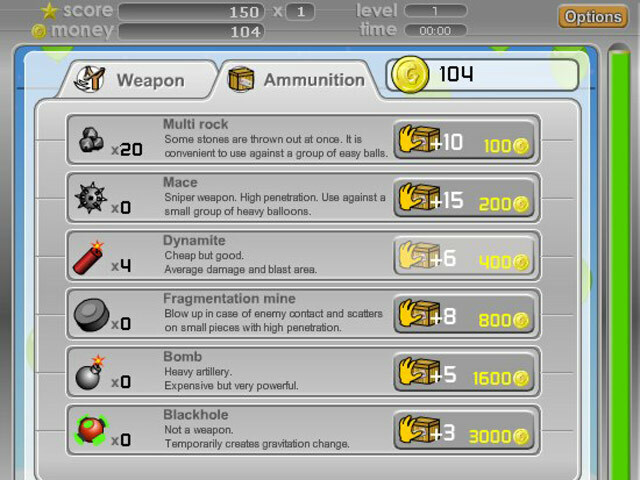 Score points bursting balloons and buy awesome upgrades and impressive ammunition to continue keeping the balloons at bay. 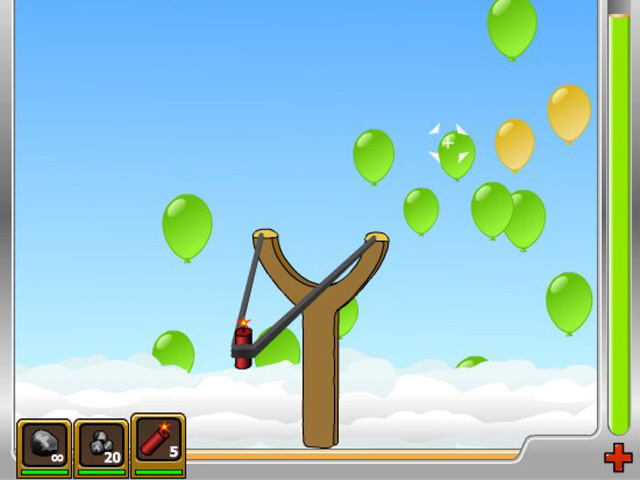 Don`t let any balloons reach the top of the screen! They`ll sap your energy and deflate your fun. 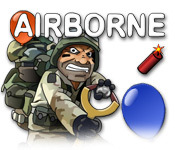 Launch into this intense Arcade game today!